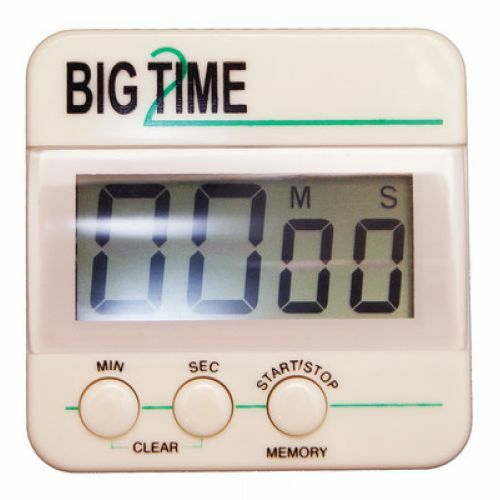 Large digital display shows minutes and seconds as timer counts up or down 1–100 minutes. Magnet and stand on back. Requires one “AAA“ battery, not included. 2 1/2" x 2 1/2".